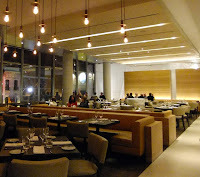 While Luma is not officially open to the public yet, we were very fortunate to be invited for a preview, last night. At both O&B Canteen and Luma, the carefully selected ingredients, attention to presentation, and culinary expertise, make dining a pleasure. But where Canteen offers the remarkable feat of fine-food at take-away prices, Luma upstairs offers fine dining unrestrained by such limitations. Familiar dishes are artfully presented, perfectly prepared, and certain to please – even common salads are elevated with creativity. Inventive menu items are both surprising and delightful (an ice-cream that tastes like popcorn!) 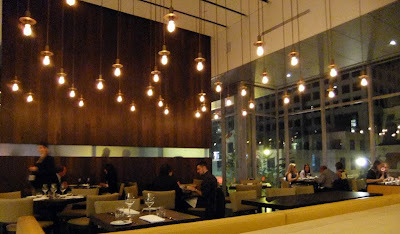 The staff, approachable and accommodating, make the whole experience feel like dinner with friends. PS. thanks to Jason, Jane, Richard, Julie, Imogen, and Niamh, for making our first visit to Luma so enjoyable! fyi, it should be "O&B" Canteen.